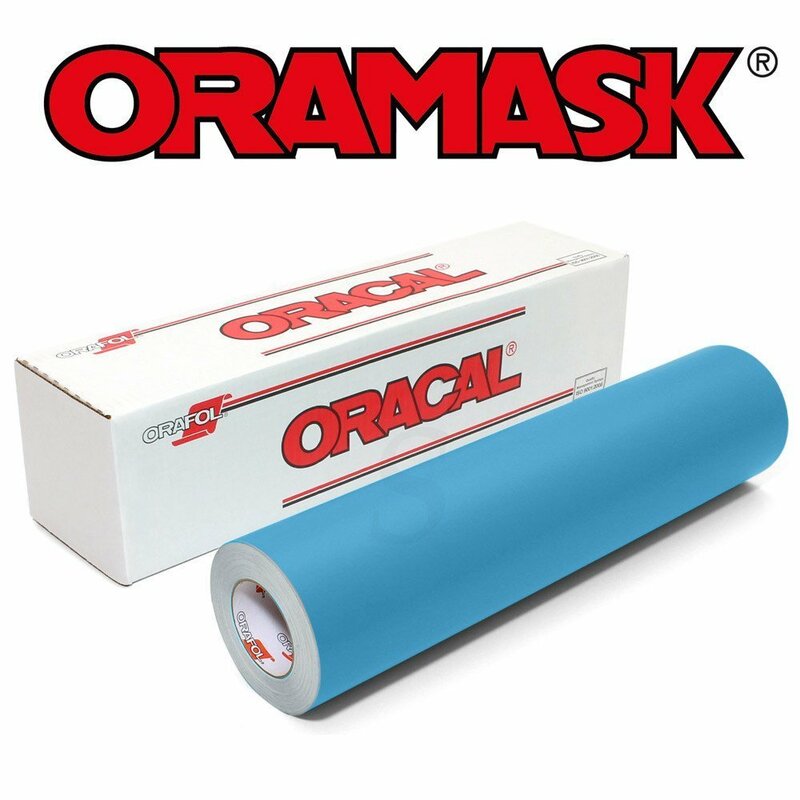 We use the Oramask 813 for any work where we'll be painting the carves we do, but don't want the hassle of all that sanding after the carving has completed. This product has eliminated 30-45 minutes out of our production times. This is enormous for a smaller shop like ours. We've included an amazon affiliate link to the product below. Make sure to order from Swing Design as we have had zero issues with bubbling from their product. All of the reviews referencing application issues were bought from other suppliers, it seems. First, cut the sheet to rough size. If you have leftovers, save them for another project to conserve material. Like my whiskey, I tend to apply/pour with a heavy hand! If you peel the grid back like I did above, it'll make for a much smoother application. This is especially true when using a roller. Next, I've trimmed the excess off for a cleaner application. This makes it easier to align on the XCarve. The next few pictures are going to take you through pre-carve, rough pass, and then detailed pass. After the detailed pass, we hit it with this Rustoleum spray shellac. It's best to let this dry. We typically wait 2 hours, but your mileage may vary. The next steps are to peel the Oramask away, sand to 220 and then apply finish. We prefer Sam Maloof Poly/Oil mix. Make sure to wipe it on thoroughly to both sides and then wipe the excess off. Click here for our listing and we'd be happy to make you or a friend one. Otherwise, happy DIYing! !